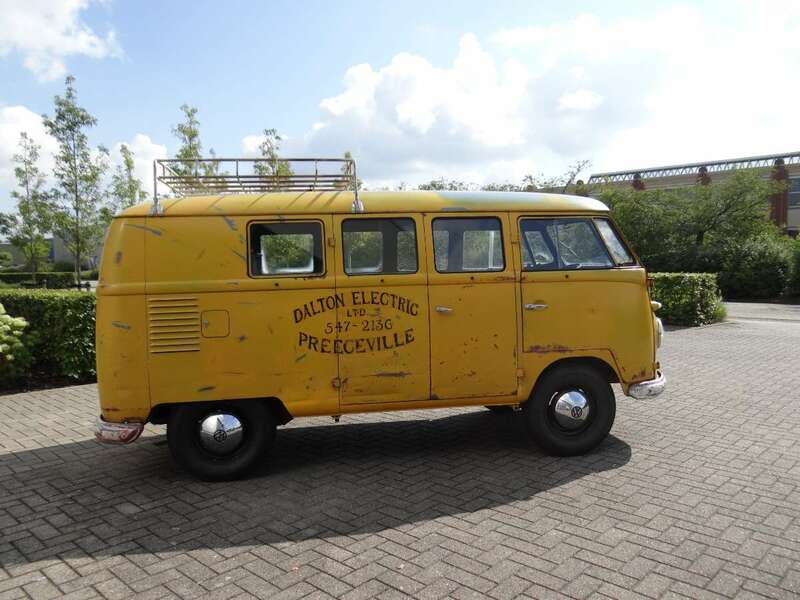 BBT nv // Blog » Arrived @ BBT HQ, For sale; 1958 Kombi with cool period “Dalton Electric” logo’s! 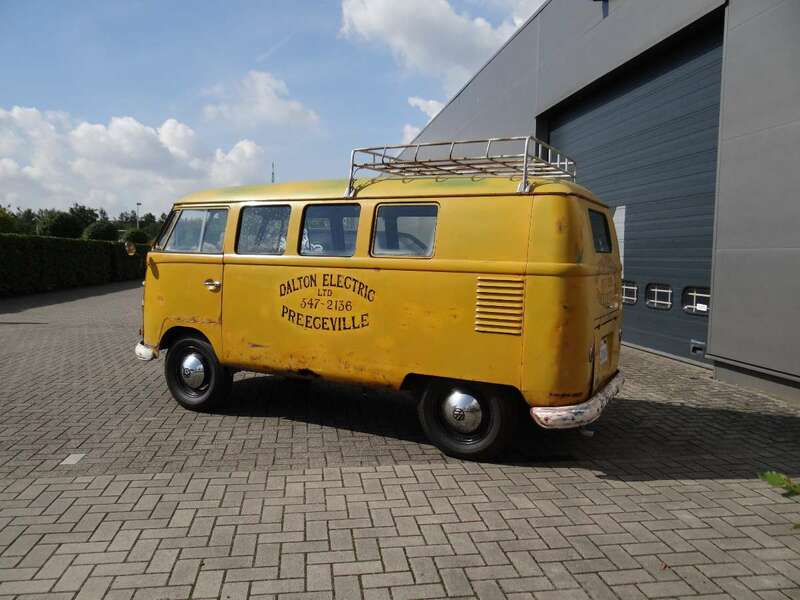 Arrived @ BBT HQ, For sale; 1958 Kombi with cool period “Dalton Electric” logo’s! 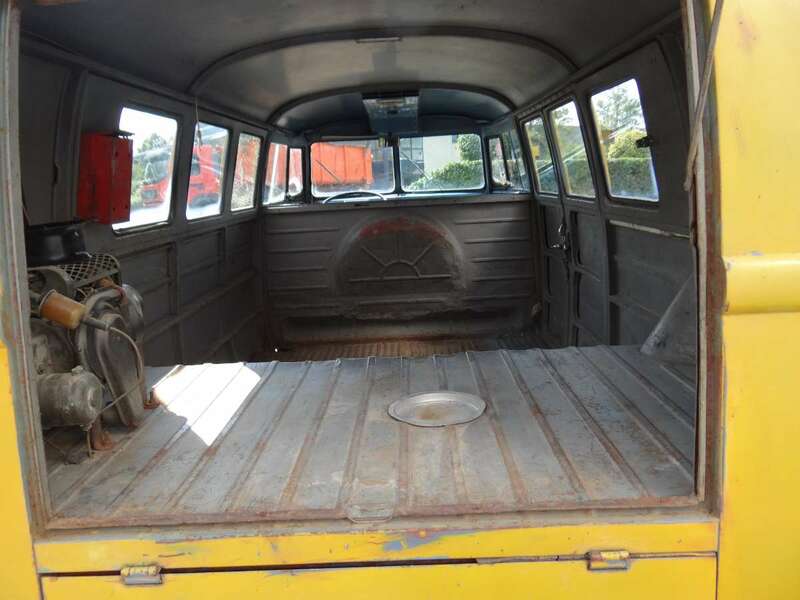 1958 Kombi for sale, with ultra cool very early company colors with its original logo’s, become a hard-core split window bus guy in a blimp! 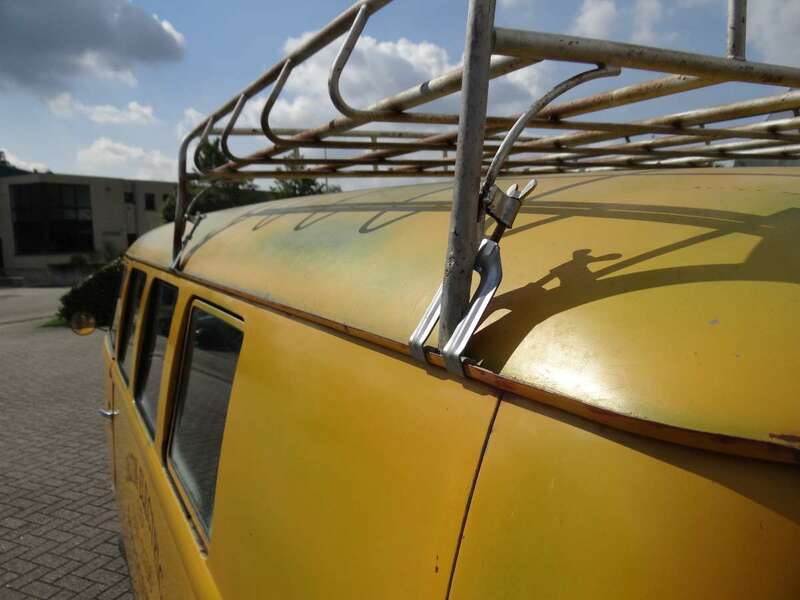 Killer kombi comes with period roof rack included! Patina all over, if You slam this baby You have a head turner wherever You will EVER go! 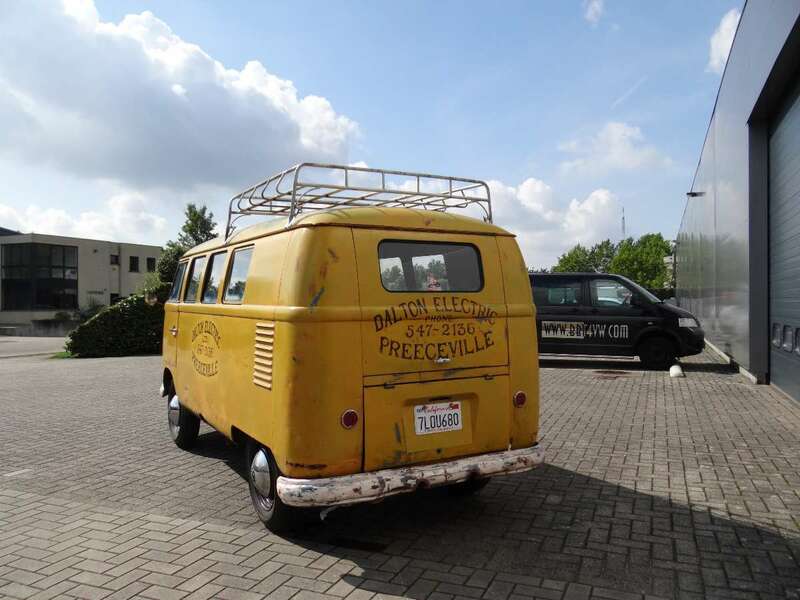 Pressed bumpers, unhacked original round tail lights, real early baby…. this is what we like don’t we? 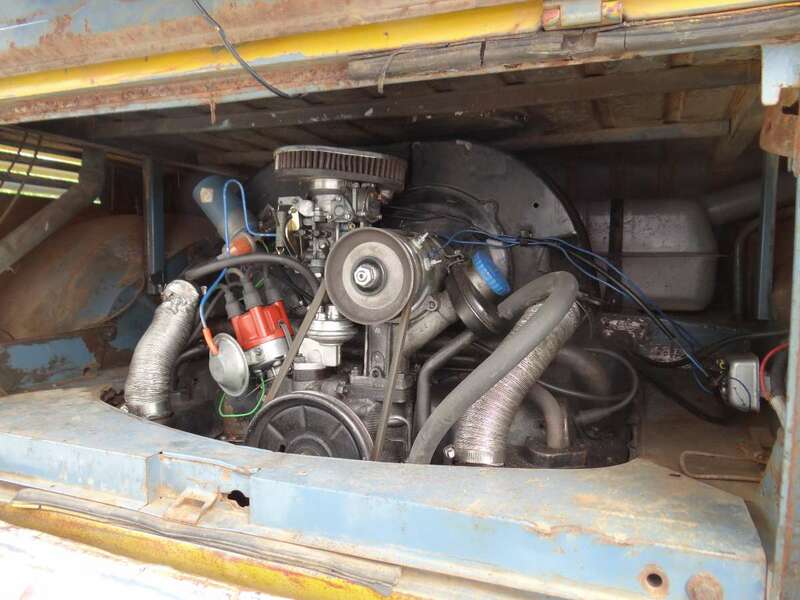 Some work on left side rocker and jacking points… (eventually) or drive it just like it.. some repair work was done already on the right side… this is a real drop death survivor, nothing more, nothing less! Empty inside, but maybe You can fill it up easily already with your fantasy? 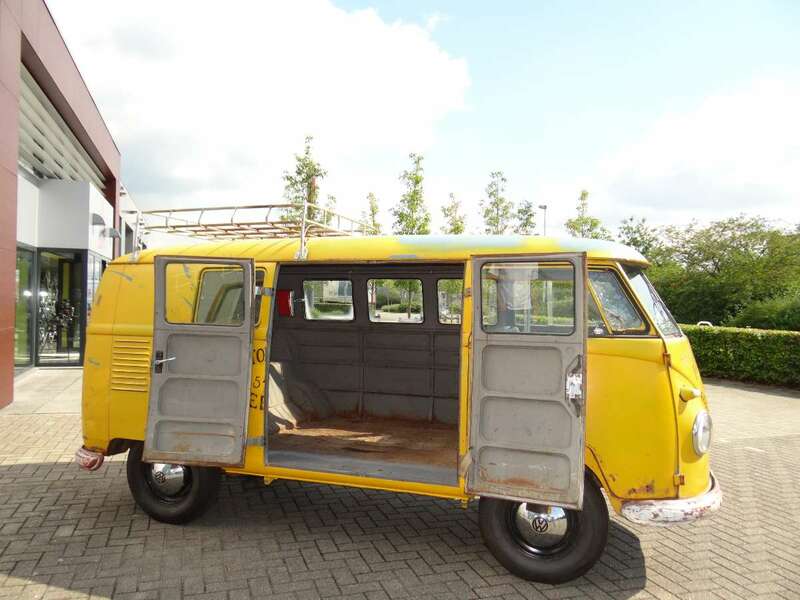 This baby rocks and is open to everything, camper, passenger, or both? Watch the period fuel heater! man what a machine! It’s all part of it! This is a real thing, not fakie doo, or made up! 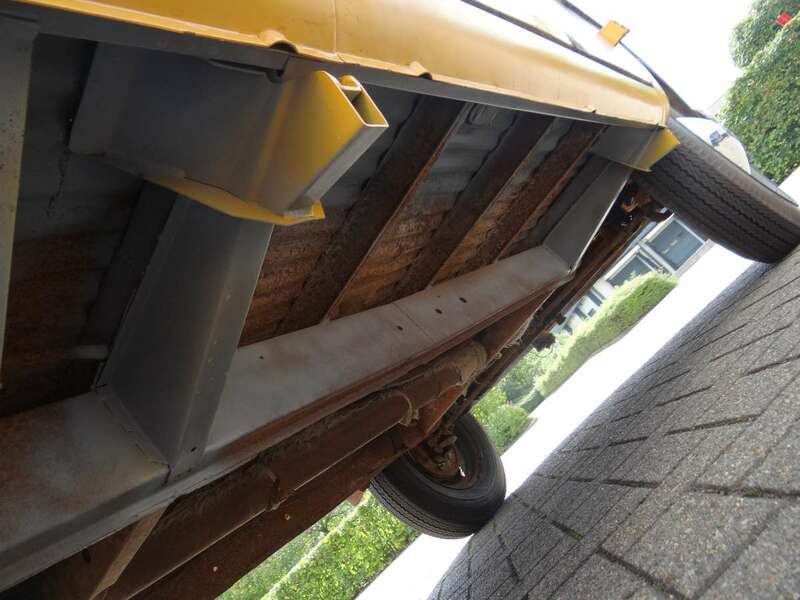 With years go by and more and more metal parts do come available in acceptable qualities it’s the raingutters of a bus that worries us the most lately, here they’re just fine! Engine is a later style that performs very well! 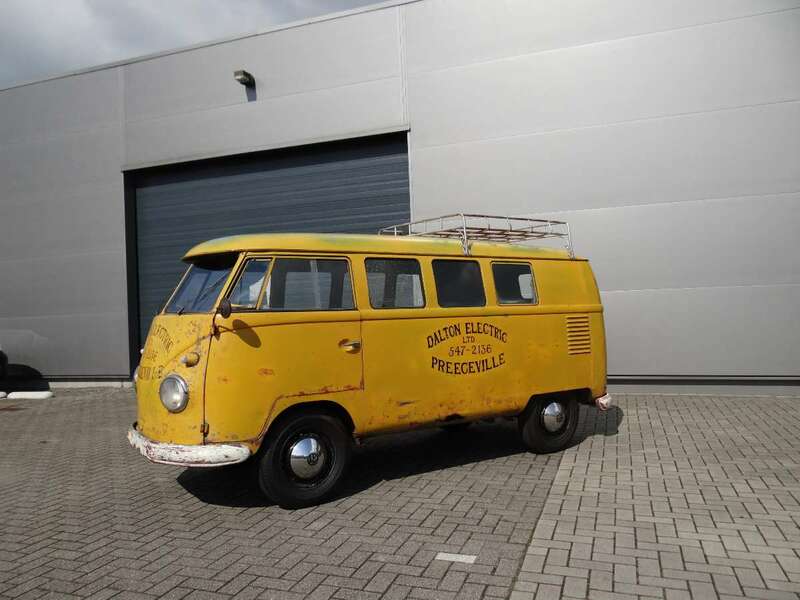 Woehaa, another killer kombi at BBT, we do find them don’t we? look that beast, isn’t it wonderfull? Pure culd! 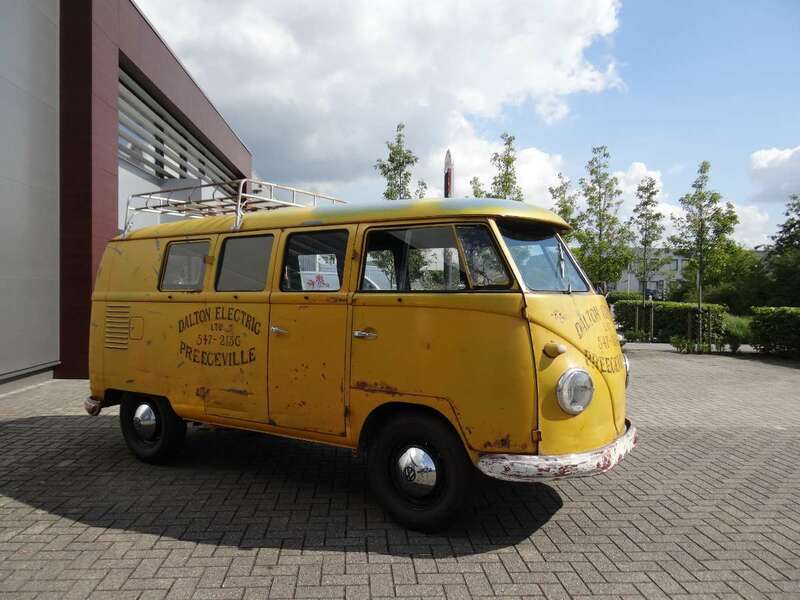 This die-hard bus is looking for a die-hard owner, this is not for pussies, but for real bus people, who knows buses (or at least like to learn fast and serious about it!) and looking for that cool late fifties perfect driver in all its patina look! 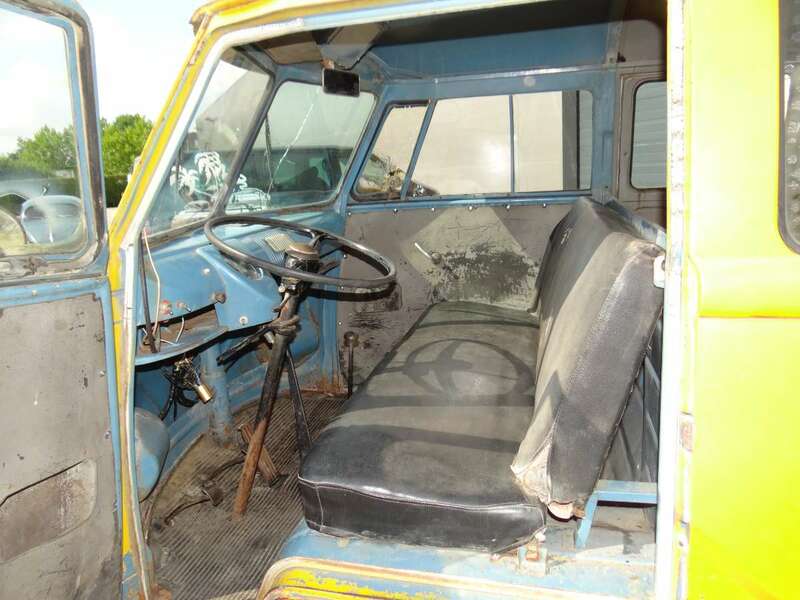 We will not sell for restoration this time, as the historical character of this bus would be gone for ever, this is how they used to drive, this is how we try it to help them to survive! If only this van could talk. It had belonged to my Grandfather and two Uncles in Saskatchewan and now I see it has a California plate on it. What a life!! 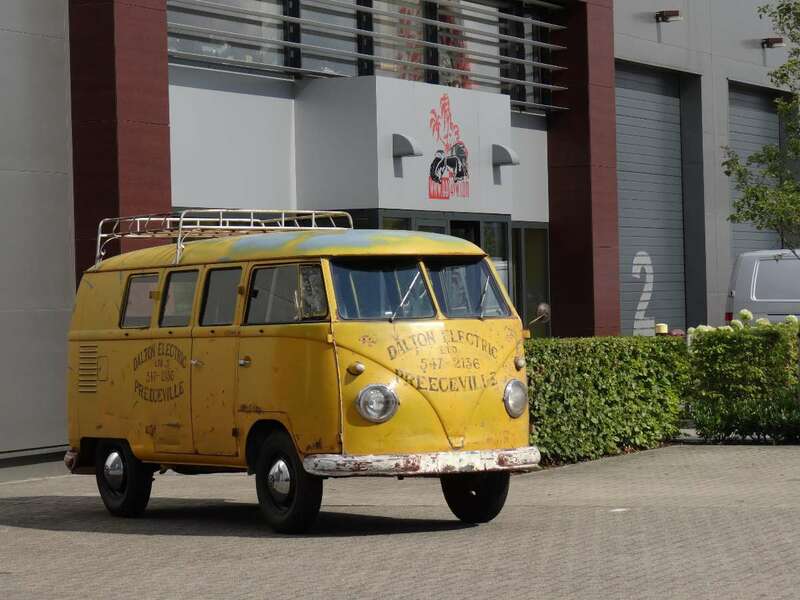 Thanks for your reaction, yes the bus is in Belgium now, and went through our hands in 2015… these buses have a lot of history, btw, you don’t have any period pictures anymore of your father and uncles with the bus? Sorry I don’t but will check with my cousins. Thanks Marnie, that would be wonderfull!